American Sentinel Health Insurance Company is a subsidiary of Aegis Security Insurance Company, specializing in accident and health insurance. American Sentinel has been around since 1956, and a division of Aegis since 1998. Do not confuse American Sentinel Health Insurance Company with Sentinel American Life Insurance Company or American Sentinel University (which offers degrees in the field of healthcare). Don’t delay! Enter your zip code in the box to get timely health insurance quotes and get the coverage you need today! The American Sentinel Health Insurance Company is best known for its mini-medical group insurance plans, which cover employees who do not qualify for traditional employer medical coverage. This includes hourly and part-time workers, independent contractors, and temporary workers. American Sentinel mini-medical policies are available in 38 states, from Alaska to Alabama, and Massachusetts to Hawaii. The policies are guaranteed, and require no employer contribution (except in New Jersey). They include both prescription drug and vision plans, and you can go to the doctor or hospital of your choice. The premiums for the mini-medical insurance policy depend upon your choice of premier, traditional, basic, or value plan. Customers in what American Sentinel considers the “New York Metro” and “New York non-Metro” areas also have different rates. Rates differ depending on your age and whether you are insuring yourself, your spouse, or your family. Mini-medical policies have deductibles, co-pays, and maximum payment thresholds. If you volunteer as a firefighter, ambulance driver, emergency medical rescuer, or fire policeman/woman in Pennsylvania, American Sentinel Health Insurance offers an insurance policy that covers accidental death and dismemberment, accidental medical insurance, and optional plans that cover regional health expenses such as immunizations. American Sentinel Health Insurance is headquartered in Harrisburg, Pennsylvania. 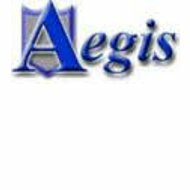 Both American Sentinel Health Insurance Company and its parent company, Aegis Security, appear in A.M. Best’s 2011 directory of recommended insurance attorneys and adjusters. The credit rating company also assigned an “Excellent” rating to both companies. The company has no Better Business Bureau accreditation, most likely because it never applied for it. The BBB has no complaints on file for American Sentinel. American Sentinel Health Insurance Company is always interested in licensing independent insurance agents to work with the company. To apply, please go to the licensing page and fill out both of the forms. The company relies on its network of independent agents to market, sell, and support its insurance products across the United States. American Sentinel Health Insurance Company provides its customers with coverage cards that they must present before getting checked by their doctor or undergoing treatment at the hospital. It is up to the doctor or medical facility whether they require payment up front from the patient or whether they first submit the bill to American Sentinel and then have the patient pay the outstanding balance. To submit a claim for the mini medical insurance plan, the customer must fill out the front of the Claim Form and sign it. The attending doctor should fill out the back of the form. To file a claim for a prescription drug plan, American Sentinel Insurance customers need to complete the same claim form and have their doctor fill out the back, indicating what the prescription is and why it is needed. Customers then need to show their Express Scripts discount card at the pharmacy counter, and pay the discounted prescription price. Along with the medical claim form, customers have to submit the original prescription slip (not the cash register slip) indicating the date, doctor, and prescription information. For American Sentinel Health Insurance’s vision plan, policyholders need only show the NVA Vision discount card at the time of service, and pay the discounted price. Policyholders must go to a participating provider to receive the discount. No claim needs to be submitted. Find your health insurance policy today. Type your zip code into the box and get health insurance rates for your area. I have had the American Sentinel Insurance Company for a year. Every time I visited the clinic or any medical examiner, they would not cover it, and I had to pay it out of my pocket. I wasted $49 a month for nothing. This is a scam. Do not get insurance from this company. If there was a negative rating, that’s what I would rate this.